Having taken time to see, listen to people talk, watch in the news and follow all those tweets about the Sinai Slums tragedy, I sat back and thought what if/how different would it have been in Kibera if this was to happen? Those who have a command of the English language say “You can only delay but not stop an I idea whose time has come” but kindly allow me to say that “you can never delay a bomb explosion whose time has come” Kibera is just but another slum faced with numerous challenges ranging from inaccessibility to the interior villages, illegal electricity connection, almost collapsing and closely packed shanties e.t.c. 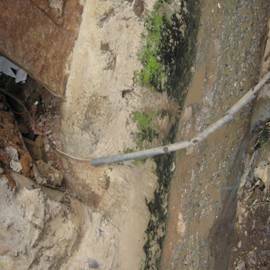 All this challenges do require the goodwill of all parties to initiate total structural overhaul of the whole slum. 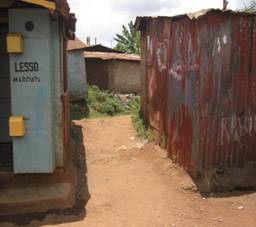 Who will be the first one to put a calculate of the required master plan to action to help improve Kibera slums? Does it mean that this man or woman is yet to be born? If Kibera went up in flames, it will be almost useless to call fire fighters to come to remedy the situation for there are no roads the fire engines can use to get to these areas. This means, in case of fire outbreak, lots of property will be destroyed, those caught in it will barely survive for ambulances to lift them to hospitals can also not access the roads, a case in point is the photos above. We also have clinics and a hospital in Kibera that normally do referrals to Mbagathi district hospital or Kenyatta for that matter but looking at the photo on the right, the hospital is right there behind that corner and it makes it difficult for ambulances to get patients in the ambulance for they have to carry them up to a certain place which is in some way risky. 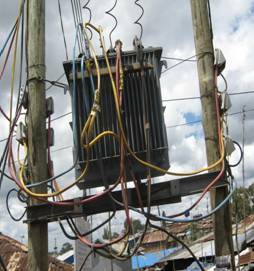 Electricity is one of the most dangerous things but also most important to the Kibera population; here I have in mind self employed people who do use electricity at their work places, small businesses, homes schools exetra. Due to the demand of this commodity visa vie the income/daily earnings of people; it is not possible to pay for hefty bills hence deciding to go the short cut ways of having illegal connections. They can never understand when you talk to them how cheap can be expensive in this case. If you follow closely, you might recall that most of the fires that have been wrecking Kibera are caused by faulty or illegal connections and it does destroy a lot of property in a matter of minutes. To pay electricity bills or use the illegal connections and have this fire instances on the rise is a choice you have to make for yourself, which one would you prefer? The average size of shacks/shanties is 12ft x 12ft built with mud walls, screened with concrete, a corrugated tin roof, dirt or concrete floor. 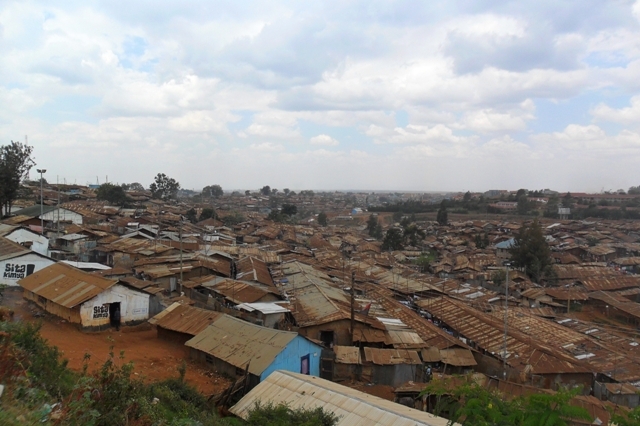 One side of Kibera parallels the railroad tracks, the other is bordered by stores in corrugated metal, barrels pounded flat, a chocolate city as they call it indeed.It is an imaginable to understand how a family of seven can live together in such a small space. 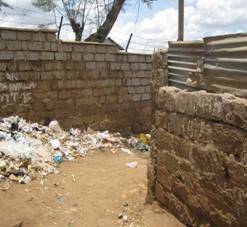 This entry was posted in Electricity, Emergency, Environment, Fire, Kibera, People, Uncategorized and tagged city council of nairobi, Government of Kenya, Kenyans, mikel, Red Cross, voiceofkibera.org. Bookmark the permalink. Lovely report. I personally think that thihs is an easy solve if out leadership realized that there lies its gold. I love the highways and all that has being going on in our transport department but I don’t think i would have given it 1st priority. Ensuring that the human resource is being utilized effectively in Kenya and not over exploited would be my number one, and then I would think of the roads. I really hope those roads survive the lack of a system for limiting the vehicle weight and all but lets think of devloping Northeastern province for example. Build subsidises factory Go downs for our Indian industrialists, build afew schools with free food programs, develop a water system and some affordable housing units and see if the people of Kibera, Mathare, Mukuru and even some middle class residentials wont move to North Eastern and then develop the roads. “There has to be a water pond, before the villagers develop a path to it”.